Easter School 2019 saw a large turnout of students from Fourth to Sixth Year who took the opportunity for additional support from their teachers in preparation for the forthcoming SQA exams which start on 25th April. The Easter School subjects represented at this year’s event were English, Mathematics, Biology, Human Biology, Chemistry, Physics, History, Geography, Modern Studies, Computing Science, Religious, Moral and Philosophical Studies, Business Management, Graphic Communication, Physical Education, Spanish, Hospitality, Music, Health and Food Technology, Art & Design and Cakecraft. 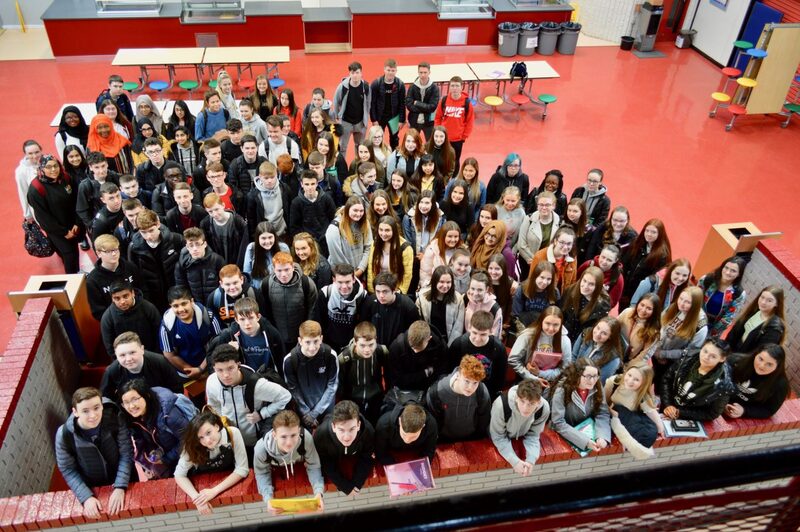 The link to the photo montage below shows pupils ready for the final push to this year’s exams in April and May! Easter School 2019 began with a large number of S4, S5 and Sixth Year students in attendance on Monday for tuition in English, Mathematics and Computing. We look forward to students attending throughout the week for a wide range of inputs across most subject areas at National 5, Higher Grade and Advanced Higher Grade. A previous post shows the programme for the week which can be downloaded. Easter School 2019 will run from Monday 1st April until Thursday 4th April. Click the link below to show the programme planned for each day in detail. Usually days are divided in two with each study class offered e.g. at Higher Grade in the morning and National 5 in the afternoon. Some Advanced Higher Grade courses are also on offer. Students can, therefore, create a programme of study which is customised to suit their individual needs. All students in Fourth, Fifth and Sixth Year are urged to attend these classes as, over the years, the work done during Easter School has proved invaluable in improving attainment both for individuals and the school as a whole. STEM Learning are hosting a Virtual Careers Fair next week on 4th-8th March. A number of large companies such as Cancer Research UK, SSE, Jaguar/Land Rover to name a few, will be broadcasting live to pupils across the country. Each company’s broadcast will discuss jobs and apprenticeships, as well as the qualification requirements for each position. A list of all the companies broadcasting, as well as how to register for each live-stream, can be found on the link below! Spaces are limited for each company so make sure you book your place soon! 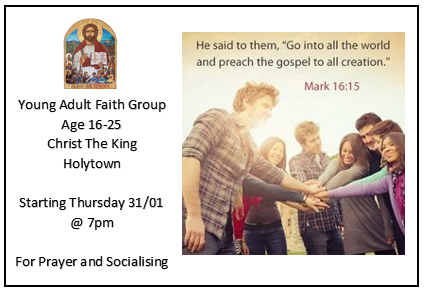 Parents of students currently in Fourth and Fifth Year are invited to attend a meeting on Thursday 28th February 2019 from 7 – 8.30pm in the school theatre. At this meeting detailed information will be provided regarding students’ curriculum choices for session 2019-20. This meeting will cover subjects at Advanced Higher Grade, Higher Grade, National 5 and National 4 and a final draft ‘Option Form’ will also be issued. In addition, there will be a short presentation by a member of North Lanarkshire’s Foundation Apprenticeship Team about the increasing number of Foundation Apprenticeships which will be available to students from next session. This presentation will cover the detail of how this qualification can be achieved as it is a mix of classroom study and a placement in an industry relevant to the particular field covered by each Foundation Apprenticeship. These qualifications benefit from strong support from relevant industries as they were created in close partnership with them. A key aspect of Foundation Apprenticeships is their equivalence to Higher Grades A-C. These have now been agreed with most Scottish Universities with many at A Grade equivalence and in certain cases, universities will count an appropriate Foundation Apprenticeship as equivalent to 2 B Grade Highers due to its relevance to the course being applied for. A friendly reminder that the February School Holidays are Monday 11th and Tuesday 12th February next week for both staff and pupils. Wednesday 13th February is In-service Day 4 and is also a pupil holiday. School reopens as normal for pupils on Thursday 14th February 2019 at 8.55am – St. Valentine’s Day! 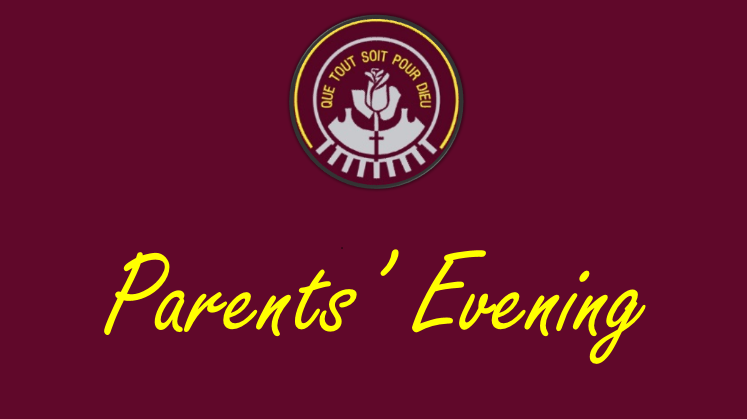 A reminder that the First Year Parents’ Evening will take place on Thursday 7th February 2019 from 4.00 – 6.30pm. All parents and guardians are invited to meet with their child’s teachers and obtain up-to-date information about their progress throughout the year. We wish all members of our school community a joyful and holy Christmas and a prosperous 2019! School closes for the Christmas holidays on Friday 21st December 2018 at 2.30pm. It re-opens on Monday 7th January 2019 at 8.55am. Have a great Break!